In the United States Army, United States Marine Corps, and United States Air Force, major general is a two-star general-officer rank, with the pay grade of O-8. Major general ranks above brigadier general and below lieutenant general. A major general typically commands division-sized units of 10,000 to 15,000 soldiers. Major general is equivalent to the two-star rank of rear admiral in the United States Navy and United States Coast Guard, and is the highest-permanent rank during peacetime in the uniformed-services. Higher ranks are technically-temporary ranks linked to specific positions, although virtually-all officers promoted to those ranks are approved to retire at their highest earned rank. Newbury is a town in Orange County, Vermont, United States. The population was 2,216 at the 2010 census. Newbury includes the villages of Newbury, Center Newbury, West Newbury, South Newbury, Boltonville, Peach Four Corners, and Wells River. The town maintains a public website that is updated regularly. The 2nd Cavalry Regiment, also known as the 2nd Dragoons, is an active Stryker infantry and cavalry regiment of the United States Army. The Second Cavalry Regiment is a unit of the United States Army Europe, with its garrison at the Rose Barracks in Vilseck, Germany. It can trace its lineage back to the early part of the 19th century. Fort Devens is an active United States Army military installation in the towns of Ayer and Shirley, in Middlesex County and Harvard in Worcester County in the U.S. state of Massachusetts. It was named after jurist and Civil War general Charles Devens. The nearby Devens Reserve Forces Training Area is located in Lancaster. Although closed in 1996, the fort was reopened the next day as the Devens Reserve Forces Training Area. The name reverted to Fort Devens in May 2007. Baccarat is a French commune in the Meurthe-et-Moselle department in the Grand Est region of north-eastern France. At the 1924 Summer Olympics in Paris, a single modern pentathlon event was contested. 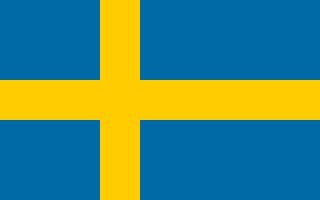 It was the third appearance of the sport; for the third straight time, Sweden swept the medals. 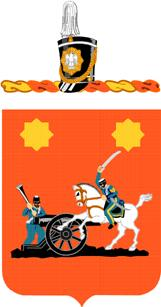 The 6th Cavalry is a regiment of the United States Army that began as a regiment of cavalry in the American Civil War. It currently is organized into aviation squadrons that are assigned to several different combat aviation brigades. Fort Oglethorpe is a city predominantly in Catoosa County with some portions in Walker County in the U.S. state of Georgia. As of the 2010 census, the city had a population of 9,263. It is part of the Chattanooga, TN–GA Metropolitan Statistical Area. It is home to Lakeview – Fort Oglethorpe High School. Major General Harmon had been in Thala on the Algerian border, witnessing the stubborn resistance of the British Nickforce , which held the vital road leading into the Kasserine Pass against the heavy pressure of the German 10th Panzer Division, which was under Rommel's direct command. Commanding the British Nickforce was Brigadier Cameron Nicholson, an effective combat leader who kept his remaining forces steady under relentless German hammering. When the U.S. 9th Infantry Division's attached artillery arrived in Thala after a four-day, 800-mile march, it seemed like a godsend to Harmon. Inexplicably, the 9th was ordered by Anderson to abandon Thala to the enemy and head for the village of Le Kef, 50 miles away, to defend against an expected German attack. Nicholson pleaded with the American artillery commander, Brigadier General Stafford LeRoy Irwin, to ignore Anderson’s order and stay. Harmon agreed with Nicholson and commanded, "Irwin, you stay right here!" The 9th's artillery stayed, and with its 48 guns raining a whole year's worth of a (peacetime) allotment of shells, stopped the advancing Germans in their tracks. Unable to retreat under the withering fire, the Afrika Korps finally withdrew after dark. With the defeat at Thala, Generalfeldmarschall Erwin Rommel decided to end his offensive. After Rommel had finally been halted at Thala, Harmon returned to Fredendall's headquarters, and was incredulous to find Fredendall expecting to pick up where he had left off. Harmon's reports on Fredendall's conduct during and after the battle (in an interview with Major General George Patton, Fredendall's replacement, Harmon called Fredendall, "cowardly") and played a key role in the Fredendall's removal from command of II Corps and reassignment to a training command in the United States. Offered the command of II Corps in Fredendall's place, Harmon declined, as it would appear to others that Harmon was motivated by personal gain. Instead, in March, General Eisenhower appointed Patton, a colleague and friend of Harmon's, to replace Fredendall. Harmon later accepted command of the 1st Armored Division after the relief of Major General Ward in April. 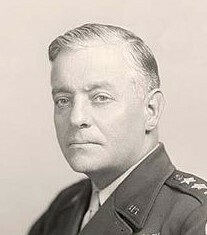 Lieutenant General Geoffrey T. Keyes was a highly decorated senior United States Army officer who served with distinction in Sicily and Italian Campaign during World War II. The Tunisian Campaign was a series of battles that took place in Tunisia during the North African Campaign of the Second World War, between Axis and Allied forces. 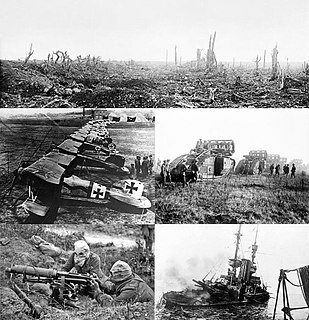 The Allies consisted of British Imperial Forces, including Polish and Greek contingents, with American and French corps. The battle opened with initial success by the German and Italian forces but the massive supply interdiction efforts led to the decisive defeat of the Axis. Over 230,000 German and Italian troops were taken as prisoners of war, including most of the Afrika Korps. Lieutenant General Lloyd Ralston Fredendall was a senior officer of the United States Army who fought during World War II. He is best known for his command of the Central Task Force landings during Operation Torch, and his command of the II Corps during the early stages of the Tunisian Campaign. In February 1943, while in command of the II Corps, his forces were defeated by German forces commanded by Generalfeldmarschall Erwin Rommel and Generaloberst Hans-Jürgen von Arnim in the Battle of Kasserine Pass. After this setback, Fredendall was relieved of command of II Corps by General Dwight D. Eisenhower, the Supreme Allied Commander in North Africa, and replaced by Major General George S. Patton Jr. in March 1943. In spite of his relief, Fredendall was promoted to lieutenant general in June 1943, assumed command of the Second Army and was greeted back home in the United States as a hero. Lieutenant General Edward Hale Brooks was a senior officer of the United States Army, a veteran of both World War I and World War II, who commanded the U.S. Second Army during the Korean War. He received the Distinguished Service Cross for heroism as a young officer in World War I and commanded the 2nd "Hell on Wheels" Armored Division during the invasion of Normandy as well as VI Corps during the subsequent defeat of German forces in World War II. Major General Hugh Joseph Gaffey was a senior United States Army officer. He was a career officer who served in both World War I and World War II. The Battle of Sidi Bou Zid(Unternehmen Frühlingswind/Operation Spring Breeze) took place during the Tunisia Campaign from 14–17 February 1943, in World War II. The battle was fought around Sidi Bou Zid, where a large number of American units were mauled by German and Italian forces. It resulted in the Axis recapturing the strategically important town of Sbeitla in central Tunisia. Robert William Porter Jr. was a United States Army four-star general who served as Commander in Chief, United States Southern Command (USCINCSO) from 1965 to 1969. Lieutenant General Willis Dale Crittenberger was a senior officer of the United States Army. He was a career soldier who served with distinction during the Italian Campaign of World War II. Thomas Leonard Harrold was a United States Army lieutenant general. He was commander of the 9th Armored Division, U.S. Army Armor School, 1st Cavalry Division, 8th Infantry Division, 10th Mountain Division, III Corps, and U.S. Army Caribbean. From 1958 to 1961 he served as commandant of the National War College. Major General Roderick Random Allen was a senior United States Army officer, who commanded the 20th and 12th Armored Divisions during World War II. Under his command of the 12th AD, the division defended Strasbourg from recapture against overwhelming odds; it provided the armored contingent in the closure of the Colmar Pocket and the liberation of Colmar; it spearheaded General George Patton's drive to the Rhine; captured intact the remaining bridge over the Danube River and broke the German defense line, making it the first time in recorded history that the Danube had failed to stop an invading army; and played a major part in blocking the Brenner Pass, thereby trapping over a million German soldiers in Italy as the war ended. En route to the Brenner Pass it overran eleven concentration camps at Landsberg, Germany. 1 2 3 4 5 6 7 8 9 10 11 12 13 14 15 "Obituary, Ernest N. Harmon 1917". apps.westpointaog.org/. West Point Association of Graduates. Retrieved October 4, 2016. ↑ Strickland, Jeffrey (2015). I Rode with Wallace: My Military Story for Ordinary People. Raleigh, NC: Lulu, Inc. p. 45. ISBN 978-1-329-56566-1. 1 2 3 "Ernest N. Harmon Olympic Results". sports-reference.com. Retrieved 2012-06-22. ↑ Matheny, Michael R. (2011). Carrying the War to the Enemy: American Operational Art to 1945. Norman, OK: University of Oklahoma Press. p. 255. ISBN 978-0-8061-4156-5. ↑ Zabecki, David T. (1999). World War II in Europe: An Encyclopedia. New York, NY: Routledge. p. 335. ISBN 978-0-8240-7029-8. 1 2 3 4 5 6 7 8 9 10 11 12 13 14 15 16 17 18 19 20 21 Houterman, Hans. "US Army Officers 1939-1945". unit histories. Retrieved 8 April 2014.